It’s that time of the year again where we’re being kept indoors by the bone-chillingly weather. Most of us plan on hibernating underneath the covers for the rest of the semester. 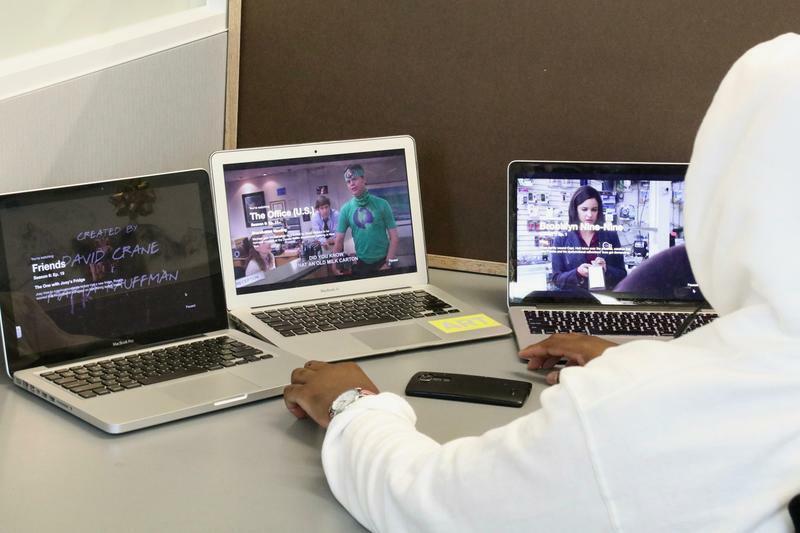 If you’re planning on not leaving your bedroom until finals, here are a couple of great Netflix shows to binge-watch all semester long. If you haven’t watched Friends by now, you’re missing out. You’ll soon find yourself relating to at least one of the characters on the show. Are you a Monica or a Rachel? Are you a Joey or a Ross? The number one reason why Friends is the best show ever is because the characters make the show so special. You’ll be guaranteed to switch your favourite character on the show at least a couple of times. This show is the epitome of severe mind mending. Black Mirror is a science fiction TV show, that was originally aired in the UK. It’s based on modern society and the consequences that come from the age of new technology and how we can get carried away. You think you know what’s going on half-way through the episode but by the end it’s the total opposite of what you imagined. Follow four 1980’s kids and one supernatural girl through the Upside Down. If you like a scary horror series that has more of a storyline, this is the show for you. Stranger Things currently has two seasons out on Netflix and hopefully more to come. This fantasy-comedy is a hilarious show following the main character, Eleanor Shellstrop, in the afterlife. She finds herself in the “good place” when she meant to be in the “bad place.” Eleanor attempts to hides in plain sight, and learn how to be a good person, but not everything goes her way.